Ned Balbo was awarded the 2010 Donald Justice Prize, selected by A.E. Stallings, for The Trials of Edgar Poe and Other Poems (forthcoming from Story Line Press/WCU Poetry Center). His previous collections include Lives of the Sleepers (University of Notre Dame Press, 2005, winner of the Ernest Sandeen Prize and ForeWord Book of the Year Award) and Galileo’s Banquet (Washington Writers’ Publishing House, 1998, Towson University Prize). 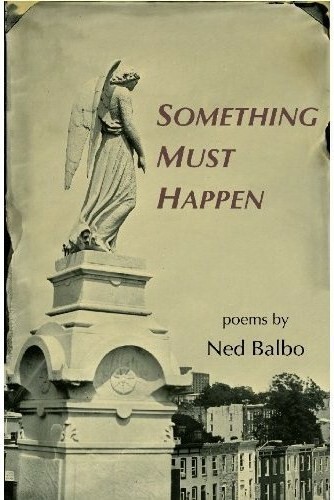 He has also published a poetry chapbook, Something Must Happen (Finishing Line Press, 2009). Awarded three Maryland Arts Council grants, the Robert Frost Foundation Poetry Award, and the John Guyon Literary Nonfiction Prize, he has also published “My Father’s Music,” an essay on adoptive identity and ethnicity, in Creative Nonfiction’s anthology of Italian-American prose, Our Roots Are Deep with Passion (Other Press, 2006). A native of Long Island, New York, he teaches at Loyola University Maryland and lives in Baltimore with his wife, poet-essayist Jane Satterfield, and her daughter Catherine. Lori A. May: Congratulations on receiving the 2010 Donald Justice Poetry Prize for your manuscript The Trials of Edgar Poe and Other Poems. Can you tell us a little about this experience? Ned Balbo: Thanks very much, Lori. I found out I’d won the prize less than a month ago, so the experience is still very much in progress–so far, it’s been great! A.E. Stallings, the judge, is the author of two collections, Archaic Smile and Hapax, both defined by depth of feeling and amazing formal fluency. The week after I received the news, we e-mailed back and forth to cut some poems and decide on a better sequence for the book. It’s not drastically different but a bit leaner and better focused. Alicia’s counsel and support were extremely helpful. In this prize-winning collection, you’ve used a number of forms including blank verse, sonnets, pantoums, and more. How did you arrive at such an eclectic collection of forms? Well, I’d written songs and poems in meter as a kid and teenager, so an interest in form was always there. In college, I wrote mostly free verse but also discovered Elizabeth Bishop, a Vassar alum and presiding spirit on campus—I even got to see her read in the spring of ’79. “The Prodigal,” written in two sonnet stanzas, was a revelation, and the sestina originally titled “Early Sorrow” seemed beautiful, mysterious, and perfect. It would take years for me to write a decent sestina. Later, in grad school at Johns Hopkins, I took a forms course with David St. John. His openness to all poetic schools and respect for both formal and free verse remain an inspiration. And it was under his guidance that I first attempted the forms you mention. The Trials of Edgar Poe and Other Poems plays on modern mythology. How has pop culture played a role in your work as a poet? I think popular art is as deeply a part of our cultural heritage as the literature or high art we discover later, and it touches us profoundly: our first exposure to the arts takes place in childhood, and the icons and images of pop culture become enmeshed with memory. And, as we see in the cases of Poe or Hitchcock, the distinction between high and low isn’t absolute. In contrast to the pop culture weaved throughout The Trials of Edgar Poe and Other Poems, your chapbook Something Must Happen takes readers through historical events and back to the future. What can you tell us about the process of working on Something Must Happen? I think that history and pop culture are closely related. The “Times Square Post Cards” sequence draws literally from historical post cards sold to commemorate Times Square—a humble art form with a mercenary motive—and “The Woods,” which takes places in the ’60s, includes toys of the era as well as the remnants of ’30s fashions discovered in storage—as if the old clothes had been abandoned by Times Square’s former denizens. Something Must Happen is published with Finishing Line Press. Care to tell us why you are drawn to the chapbook form? What advantages do you find in working toward a defined, compact collection? I’d read and admired other chapbooks—offhand, I think of the beautiful, limited-edition chapbooks produced by Aralia Press—and thought it a good format for a small group of poems that connect thematically. I didn’t realize how dedicated Finishing Line editors Leah and Kevin Maines were until production was under way. They work hard to spread the word about their authors. The main challenge I found lay in leaving poems out: I’d written much else that year and had to see the chapbook as a snapshot of a given moment, a particular thread, as opposed to a broader exploration. Finally, since this is the April issue of Poets’ Quarterly, what does National Poetry Month mean to you and how will you be celebrating? For Jane and me, National Poetry Month began a little early. This past weekend, we attended the opening celebration for the Women Poets Timeline Project in Washington, D.C. where, with host and project originator Kim Bridgford, we got to hear readings by Annie Finch, Rhina Espaillat, Molly Peacock, and Terri Witek: amazing women whose work encompasses a range of poetic traditions. That’s what National Poetry Month is for: to acknowledge the art form’s possibilities and awaken audiences to poetry’s profound transformational power. We haven’t planned out April yet, but I do know I’ll spend more time rereading the poems of Donald Justice: his work is so restrained yet powerful, and also highly conscious of time. My favorite right now is “Bus Stop,” which begins: “Lights are burning/In quiet rooms/Where lives go on/Resembling ours.” The poem conveys both solitude and longing, a resignation that can’t conceal the speaker’s desire to connect. Given such subtlety of voice and clarity of imagery, it’s no wonder that he influenced several generations of poets.